Although the Scarbo SVF1 Prototype looks like a ’60s Formula 1 car, it’s actually an entirely modern creation, fitted with a 425 hp GM Performance all-aluminum LS1 6.2 litre V8 and weighing in at a feather-light 1,280 pounds. 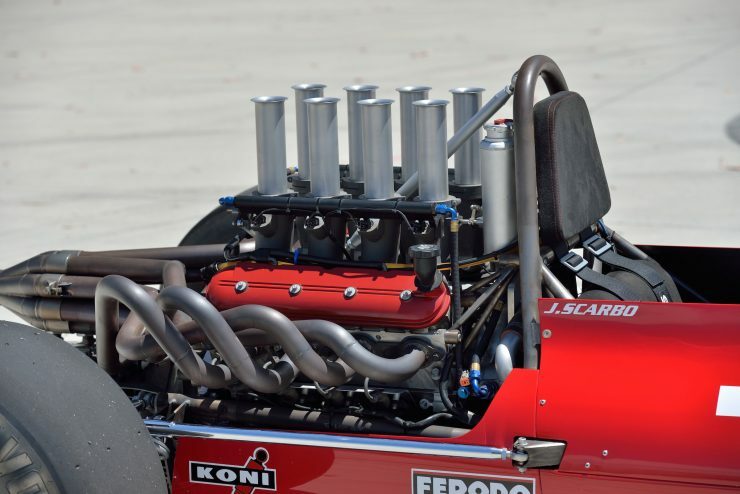 The Scarbo SVF1 was Joe’s personal project for years, on the face of it it’s lunacy. 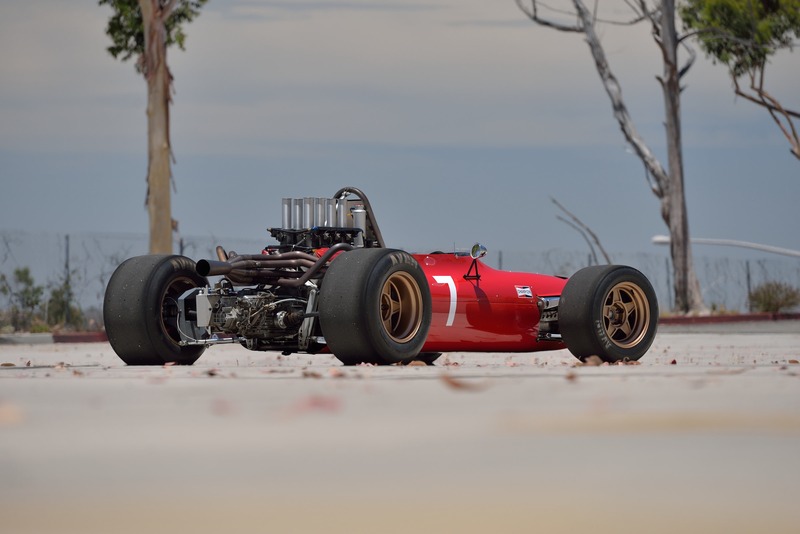 As a mechanical engineer he’s one of the few people capable of building a Formula 1 car in his garage, but after a quick look at the numbers you wonder if Joe actually built a car that would have been quicker than period F1 vehicles. 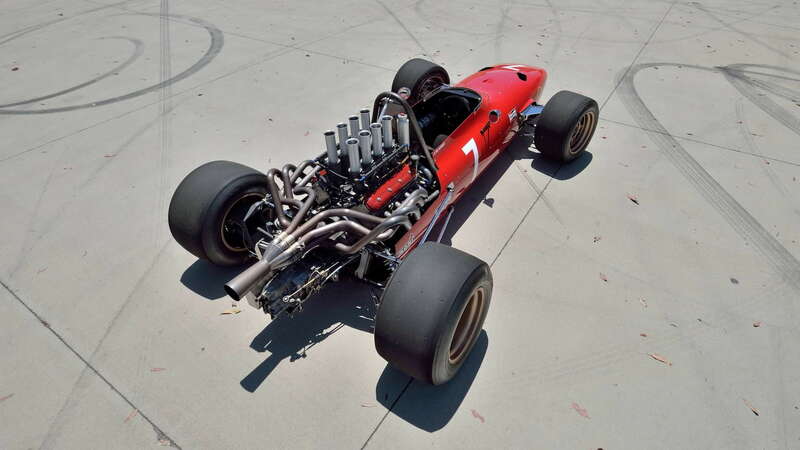 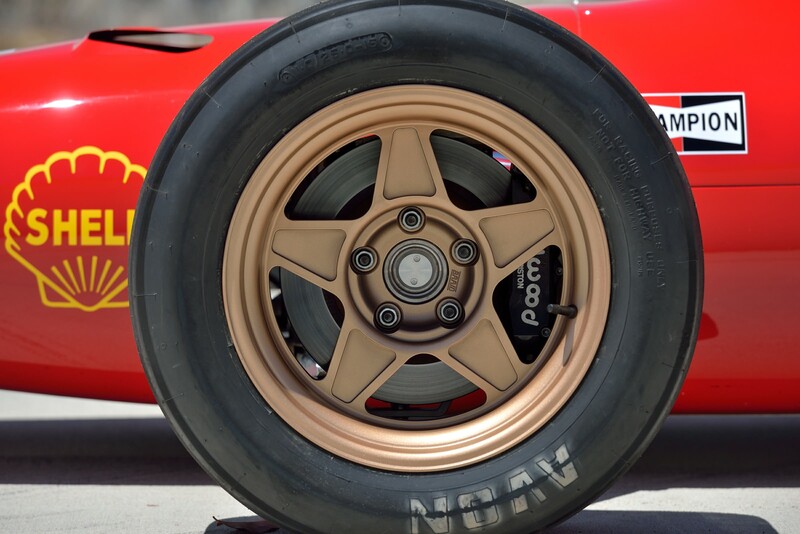 He based the styling of his car on the 1967 Ferrari 312, recognized by many for being the most beautiful racing car of all time. 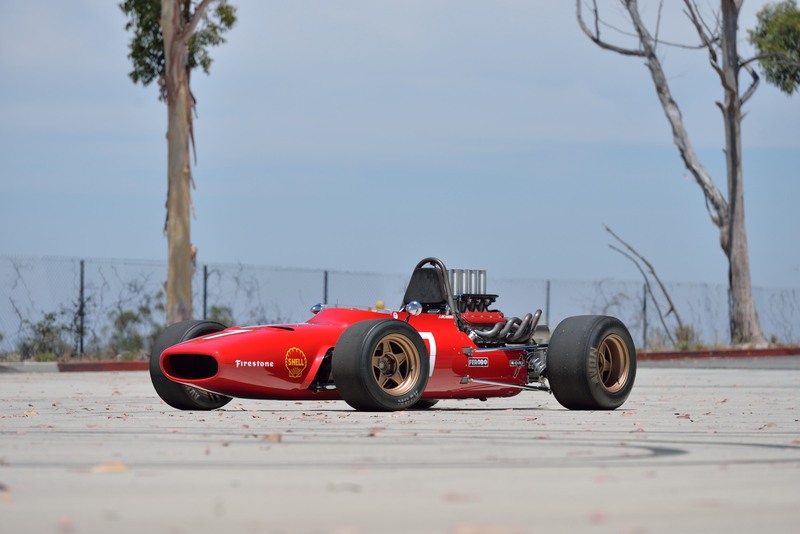 The performance specifications make it clear that this American open-wheeler would have been a potential race winner in 1967 (if we forget about engine size restrictions of course). Its 425 horsepower and 1,280 lbs kerb weight match up very favorably with the 1967 Ferrari 312, with its 1,210 lbs weight and 390 horsepower V12. 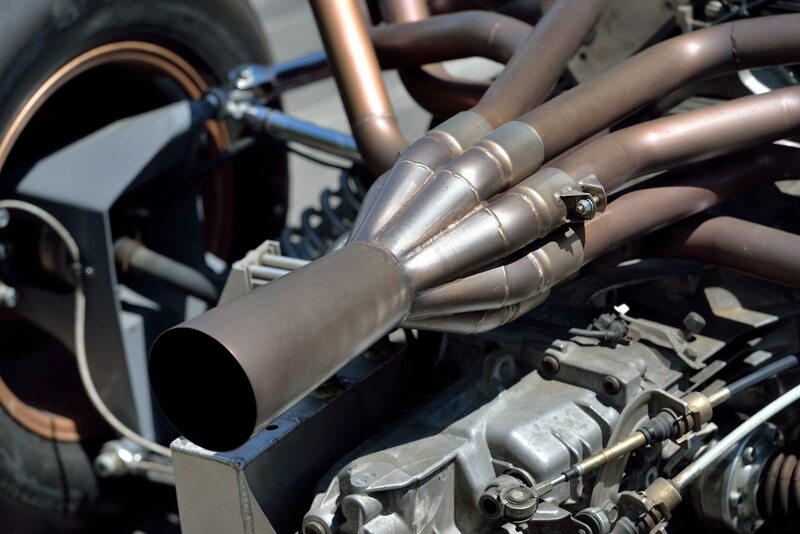 Under the hand-formed aluminum skin, the Scarbo SVF1 has a meticulously MIG welded steel tube chassis. 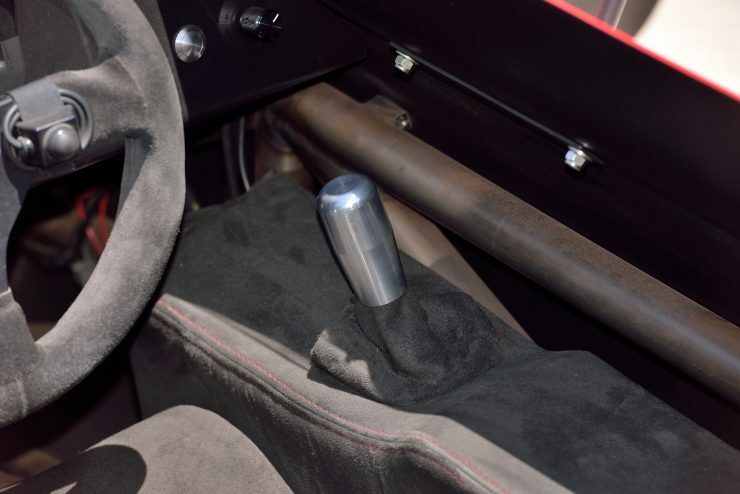 It uses heat-treated 4130 suspension components, a five-speed H-pattern transaxle, rack and pinion steering, a telescoping steering shaft, front and rear sway bars, an FIA compliant fuel cell, two-way adjustable coilovers, six-piston Wilwood calipers over 11.8-inch rotors, and a six-point harness. 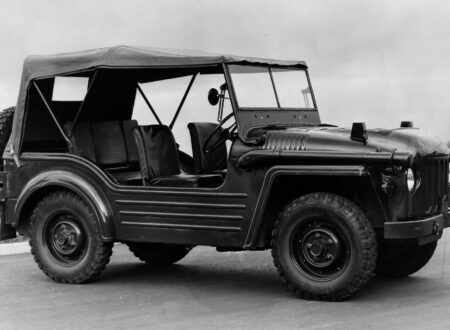 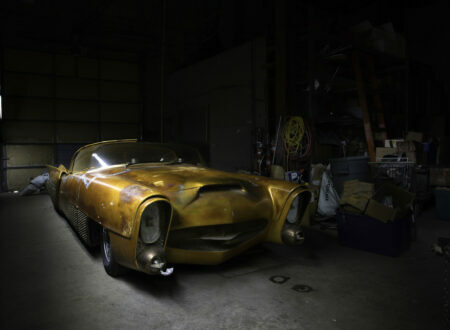 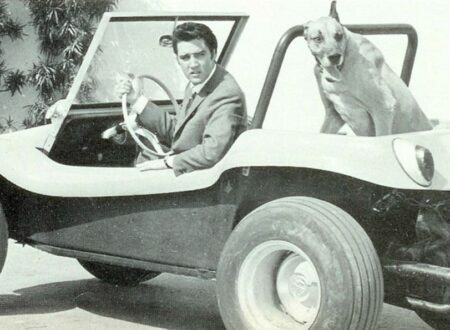 This car is the original prototype and one of only two cars to exist. 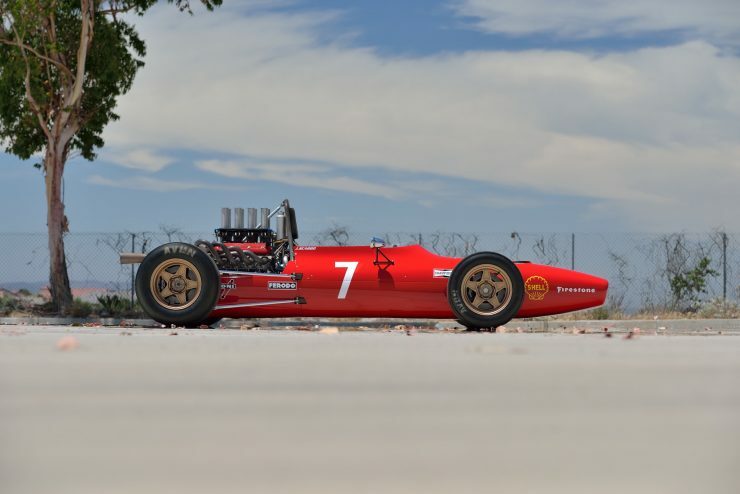 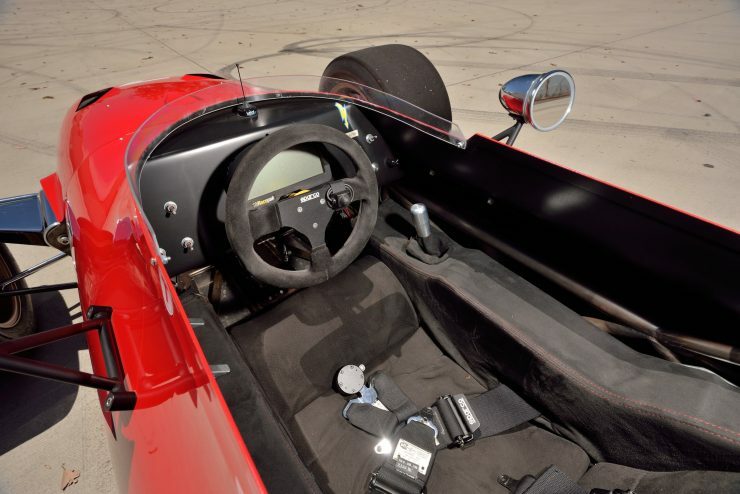 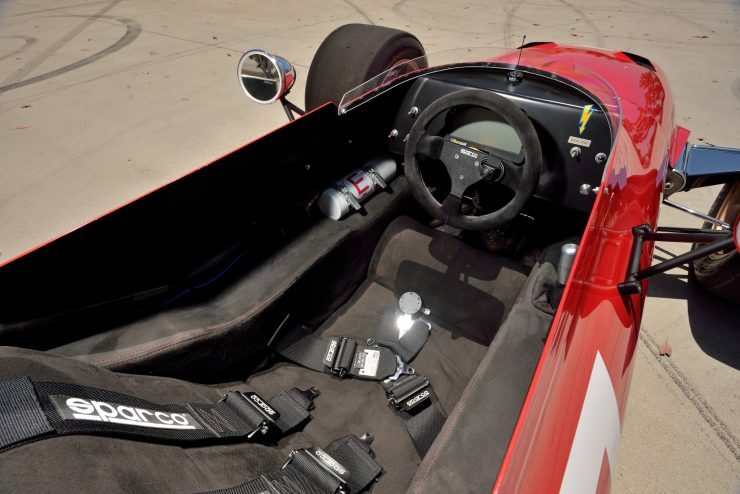 With a current production schedule of one car per year, it’s very unlikely there’ll ever be enough of these to satisfy demand, particularly when you learn that this car qualifies for and has raced in both SVRA and HMSA competition. 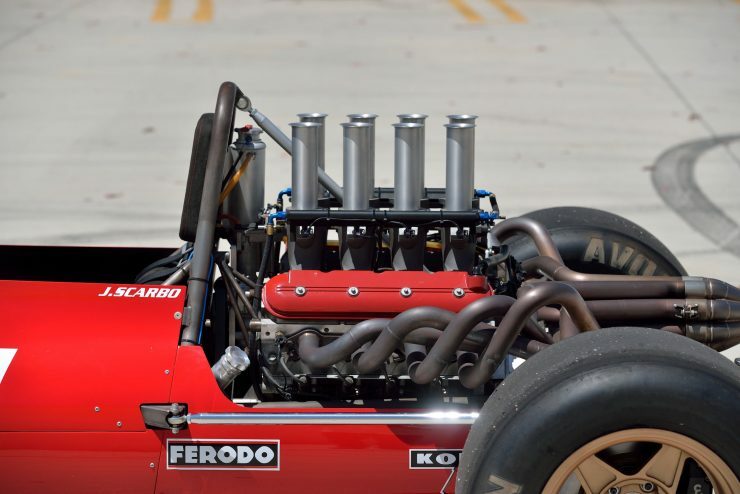 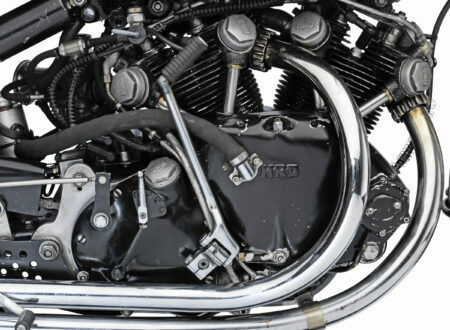 Whereas period Formula 1 cars will always cost a king’s ransom to buy and the GDP of a small nation to maintain, the Scarbo SVF1 uses a tried and true LS1 that almost any mechanic in America can work on. 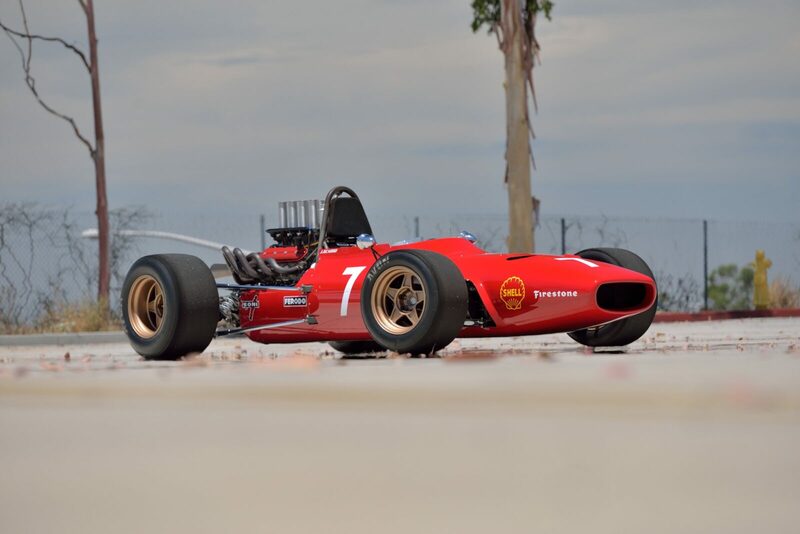 The current production numbers make this unlikely, but we’re all living in hope that 12 of these will line up on a grid someday for a proper Grand Prix – it’d be a spectacle that would give modern Formula 1 races a run for their money. 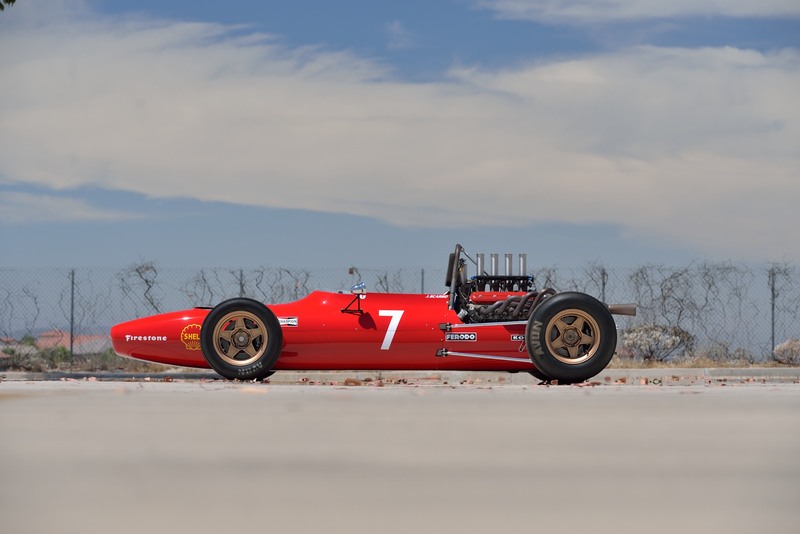 If you’d like to take the SVF1 home with you I have some good news – it’s due to be sold by Mecum in late August at the Monterey Auction. 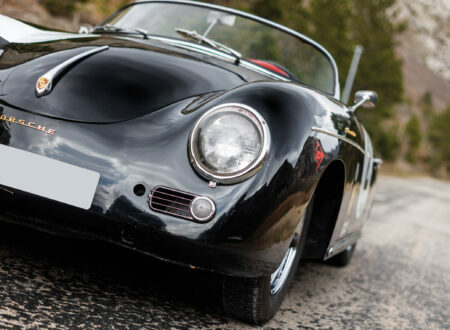 If you’d like to read more about it or register to bid you can click here to see the listing.